Looking for ways to keep the historical features and characteristics of your mid-century home and neighborhood? We have several resources and suggestions for you below! SacMod frequently receives requests regarding renovation and preservation of mid-century modern homes, buildings, neon signs, and neighborhoods. Insensitive remodeling without regard to historical features is a huge and multifaceted issue throughout the Sacramento region. Below is an overview regarding some of the ways we work to address this challenge. First, SacMod tries to raise awareness regarding these homes, buildings, and neighborhoods. Through our social media posts, we highlight homes and places that still are mostly intact and have a high degree of integrity with their original design. Through our home tours, we elevate and celebrate the original features and characteristics of homes, buildings, and neighborhoods (please see our Publications page for past tour guidebooks). We also provide referrals (see lists below) to folks who are looking for service providers and resources on how to keep, maintain, and in some instances, even restore their vintage home. While our main focus is mid-20th century modernism, there is crossover regarding many of the same materials used in mid-20th century ranch homes. Second, we are seeing an interest in grassroots efforts by neighborhood activists to celebrate the original characteristics of their neighborhoods. This is not limited to mid-century modernism. Some recent examples include Golf Course Terrace and Estates, South Land Park, East Sacramento, Hollywood Park, etc. (Links are to each group and/or Neighborhood Association. If your neighborhood association is actively involved in elevating its historic, mid-century characteristics — and you would like to be included in our list — please contact us.) SacMod has conducted and shared research with neighborhood activists. Third, we are also seeing interest by some realtors to highlight original features in a positive light (versus advertising the home needing “updates,” as a “fixer,” or even a call out to “flippers.”) We have provided technical support to many realtors who have expressed an interest in highlighting the original, historic aspects of a home or building. Unfortunately, ranch homes — with their generous, open plans — are particularly susceptible to being altered. If you are a realtor who would like to speak with us further regarding a particular home or neighborhood, please contact us. Maintaining a historic home and neighborhood takes effort: it involves education, support, and organization. Concerned neighbors can have great success in retaining the original feel of their vintage neighborhoods. In some instances, they have organized so well that they have been successful in having their neighborhoods listed as historic districts. We’ve compiled some helpful documents to share with you as you restore and renovate your own midcentury or modern home. This list of internet links was compiled from researching materials and resources helpful to owners of mid-20th century homes. Providers did not pay to be included. It is an evolving list; please feel free to give us feedback or recommendations for providers to be added. 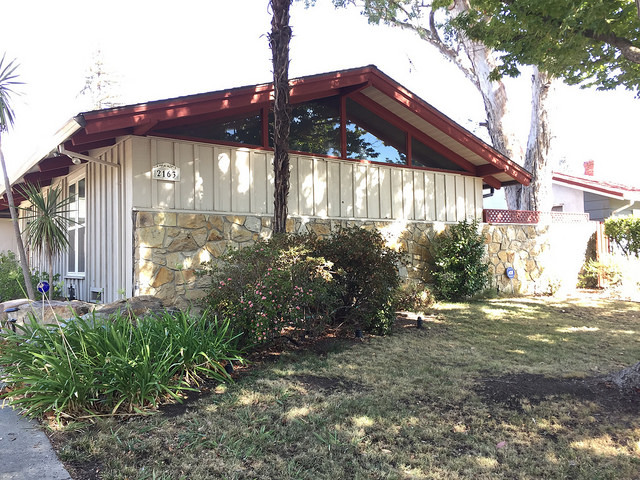 This list has been compiled from positive direct experience dealing with issues regarding maintenance, repair, and renovation of mid-century homes in Sacramento. Providers did not pay to be included. It is an evolving list; please feel free to give us feedback or recommendations for providers to be added. Our friends at Preservation Sacramento also have a useful Contractors and Specialists list. Do you have or know of a neon sign that needs help? Here’s a list of local companies who can help your business restore it.